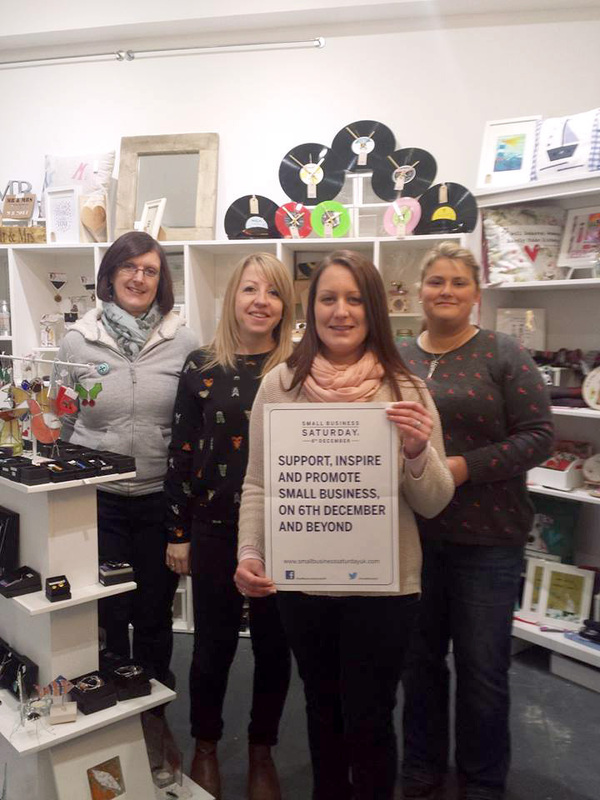 The first shopping Saturday in December has come to be known as SMALL BUSINESS SATURDAY, supporting and promoting all those lovely independent businesses that make up the corners of your city and online. 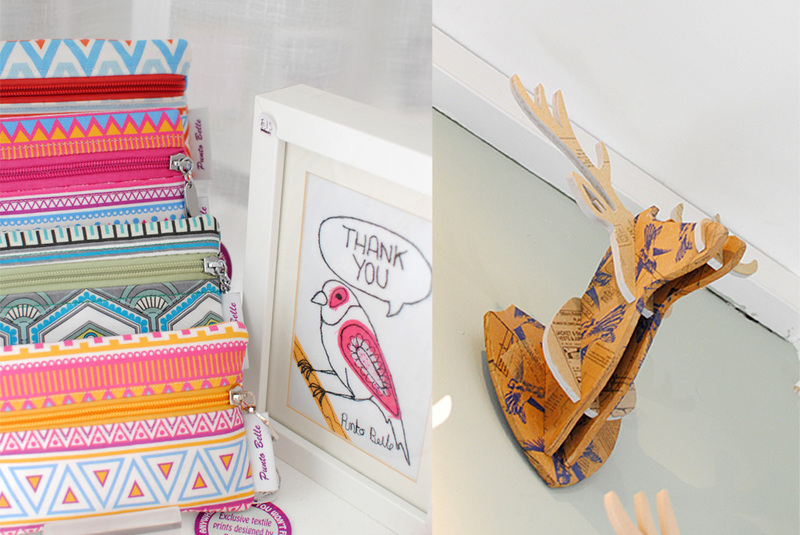 Come on down to Our Handmade Collective today and not only will you be celebrating our little shop with us, but you will also be supporting all our independent designers too – there’s 58 designers all under one roof! 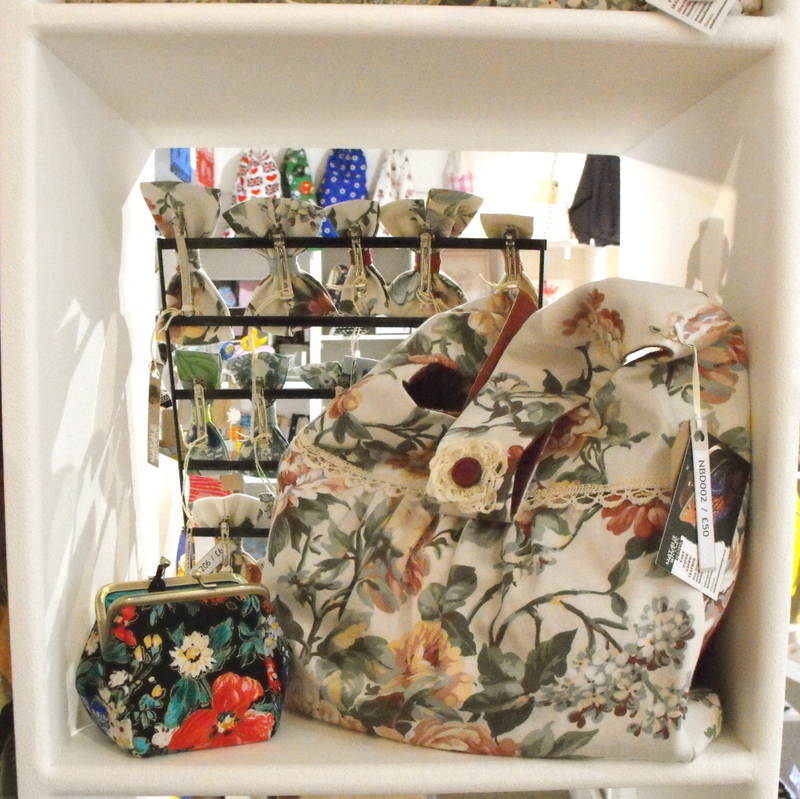 If you shop with us today you’ll get an awesome goody bag and two stamps for the price of one on your loyalty cards!! 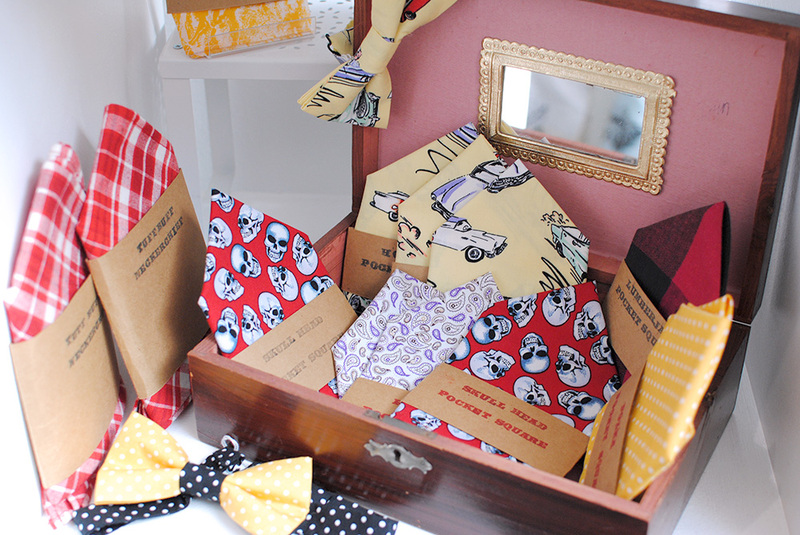 There are incredible benefits to shopping small: Each product is handcrafted with incredible attention to detail and you’d be hard pressed to find the same product elsewhere on the high street. 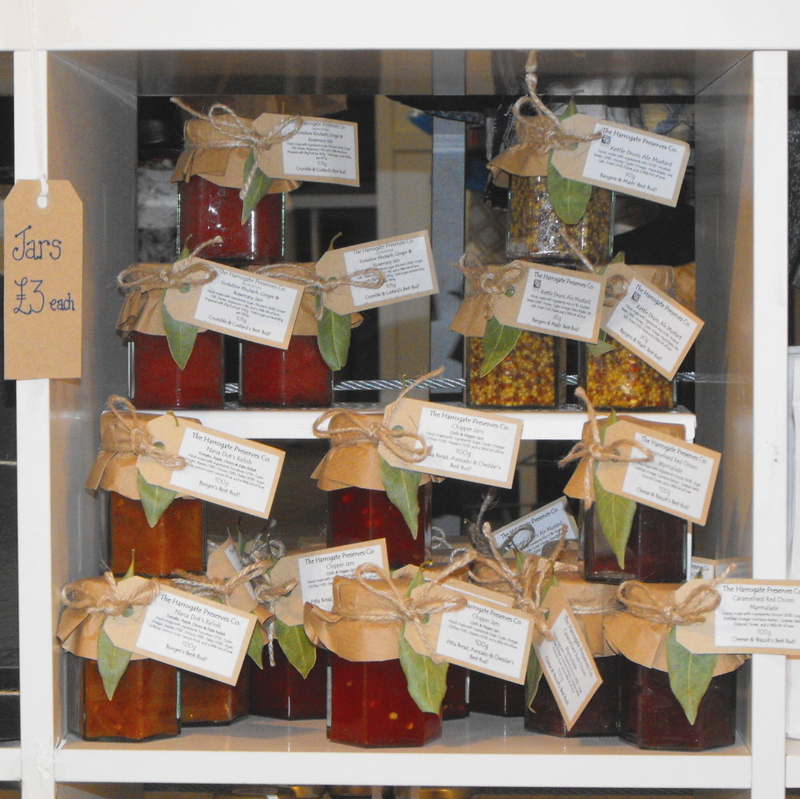 Get something a little bit different for your loved ones this year and if you’re completely stuck for ideas there are no better experts than the staff at Our Handmade Collective to help pick out the perfect gift. We’re friendly and easy to approach and we genuinely love each and every product in store, handpicked by our owners Claire & Natalie. 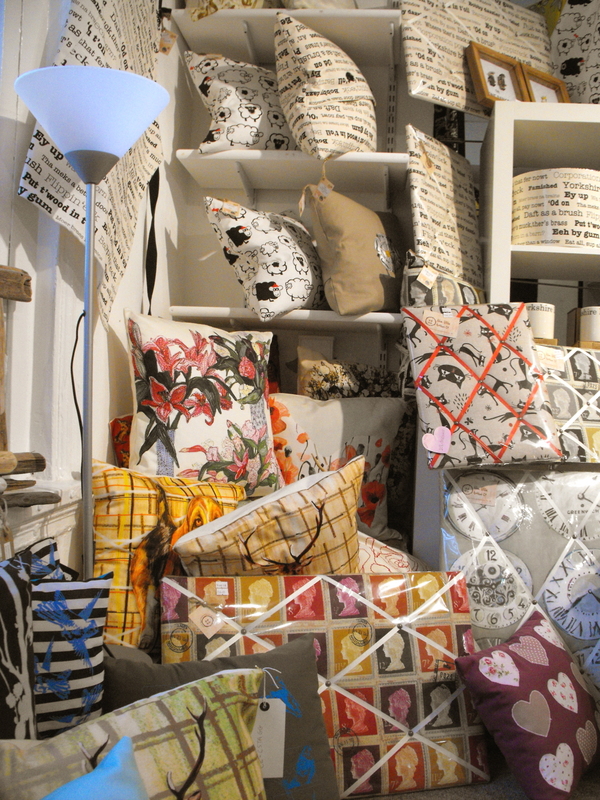 We have home decor ideas from gorgeous lamps to fun signs to brighten up your bathroom and kitchen, hand sewn gifts, scarves and mittens for your Grandma who is always hard to buy for, a fun and kooky moustache for your daughter, gifts made from a vinyl record for your musician boyfriend, a cute dog brooch for the dog walker and gorgeous handmade jewellery for your mum, sister and girlfriend. 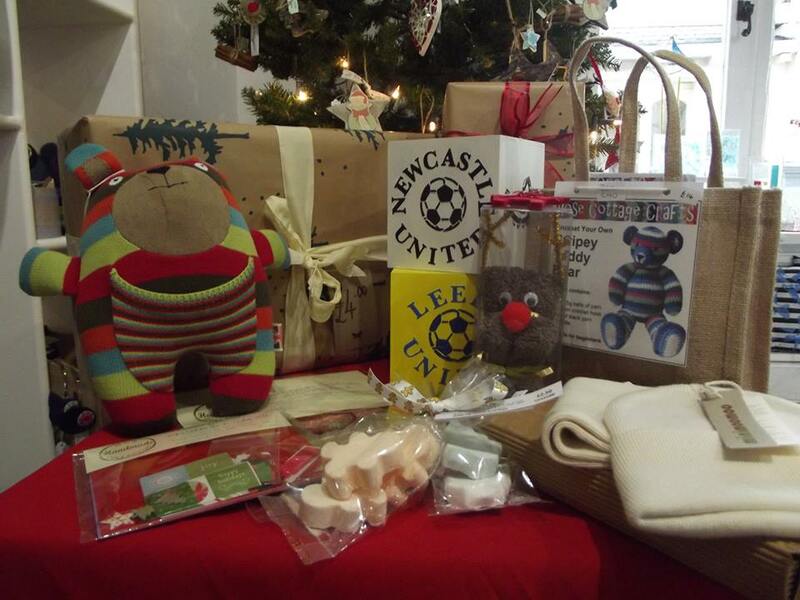 We also provide a gift wrapping service too, so you can leave with all your presents bought and wrapped with weeks to go! 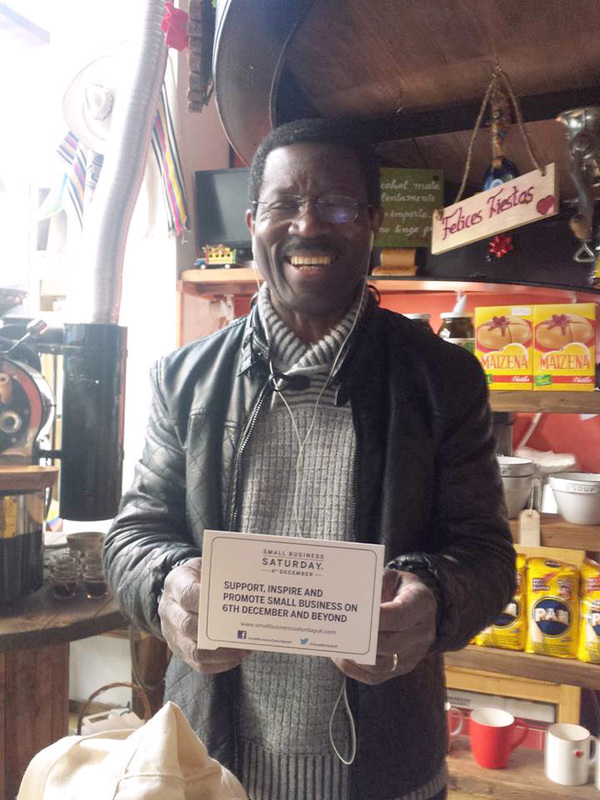 While you’re here you can grab a coffee at Casa Colombiana or groom that post Movember facial hair at The Traditional Shaving Company and support all the amazing small businesses that we live alongside in the Grand Arcade! 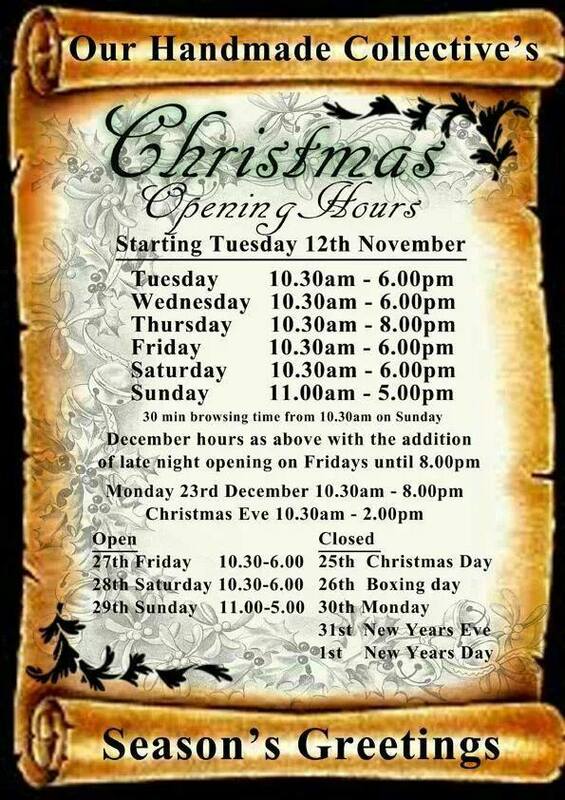 Don’t worry if you can’t make it today, you can support us everyday as we’re now open until Christmas Eve. 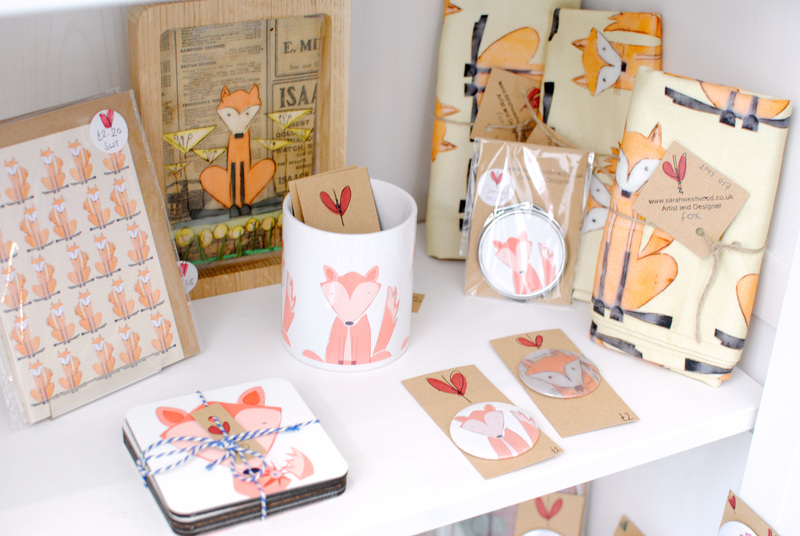 We have a lot of new gifts in the shop from our makers ready for Mother’s Day. But what should you get her to make her feel special? How about…. 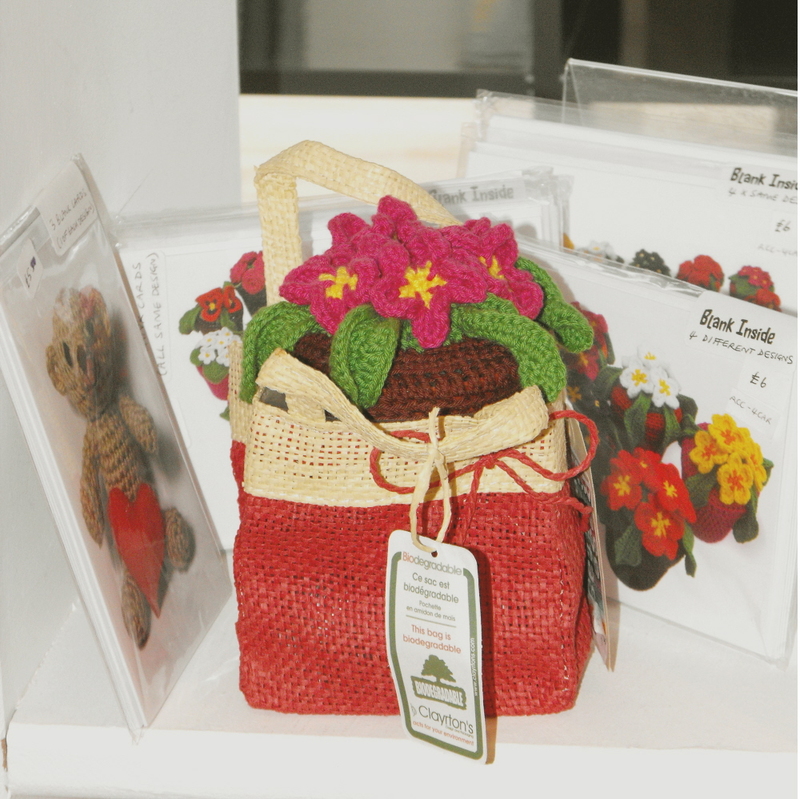 Instead of getting your mum a bunch of flowers that will only last a few days, why not get her a cute crocheted pot plant decoration (with matching card) that she can keep forever! 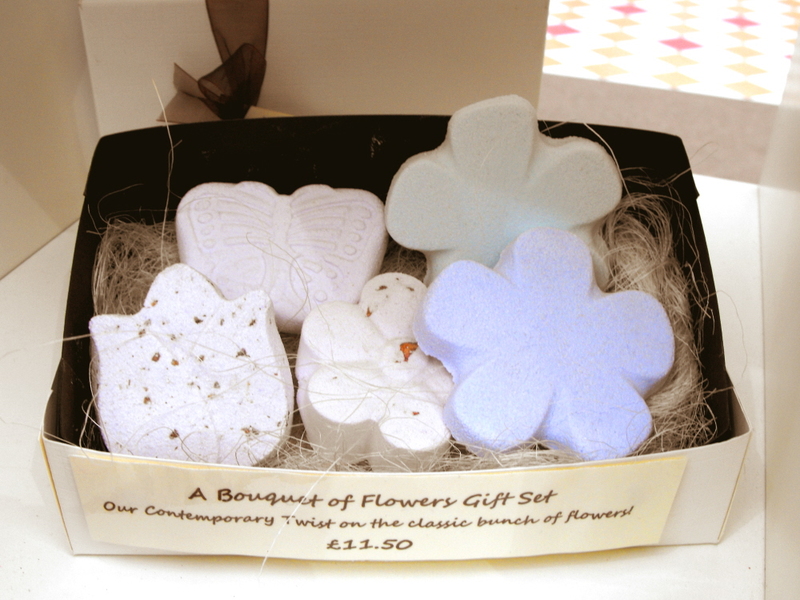 Designed and made locally by Rose Cottage Crafts. 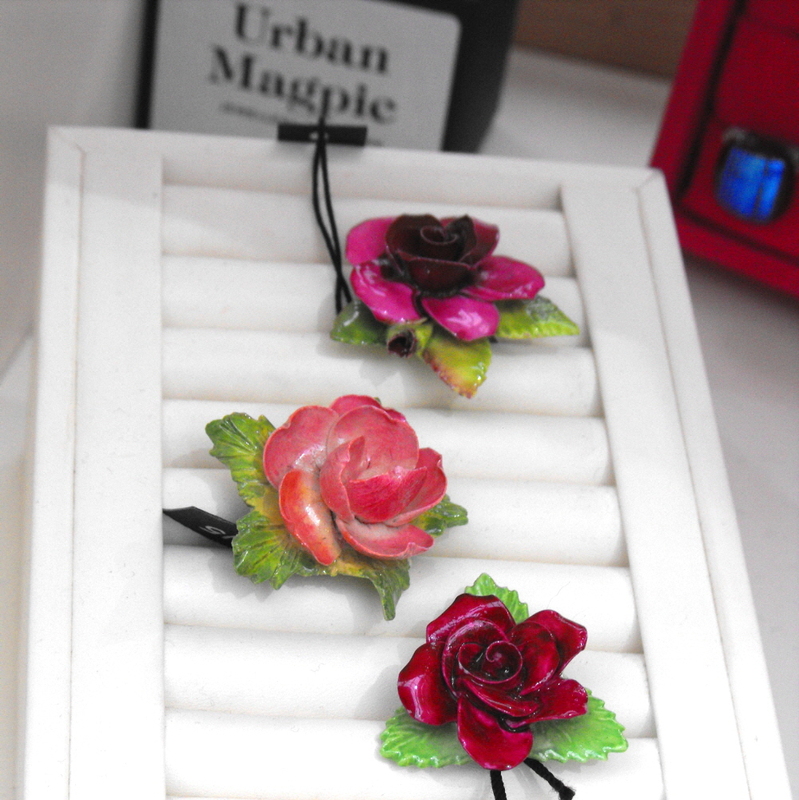 Or quirky kitsch rings upcycled by Urban Magpie from old china flowers decorations. and lovely sea glass carefully made into unique items by Shedplay. 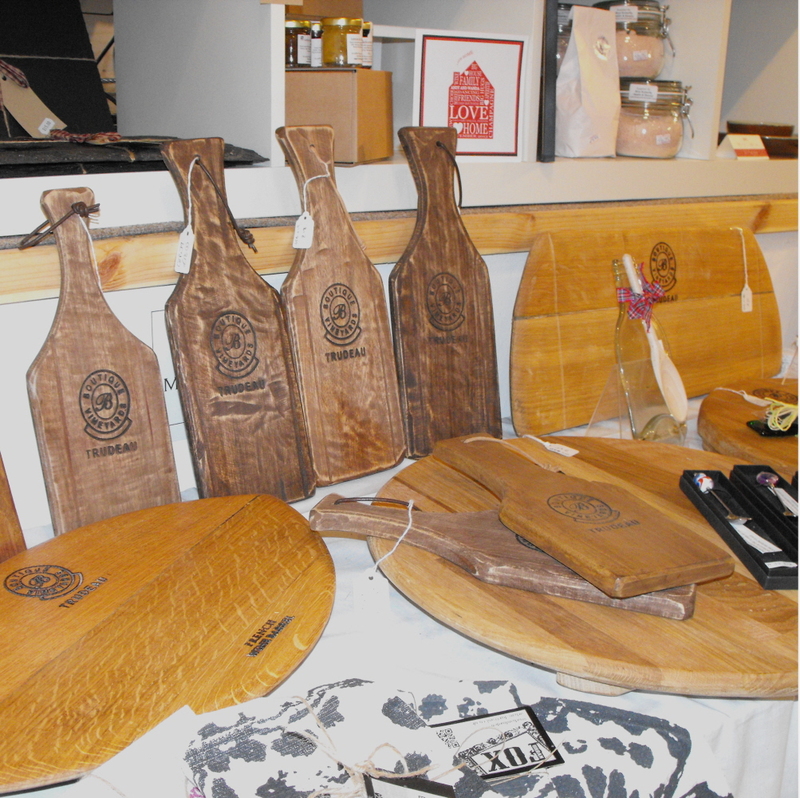 or a wooden board from Gourmet Food Boards. 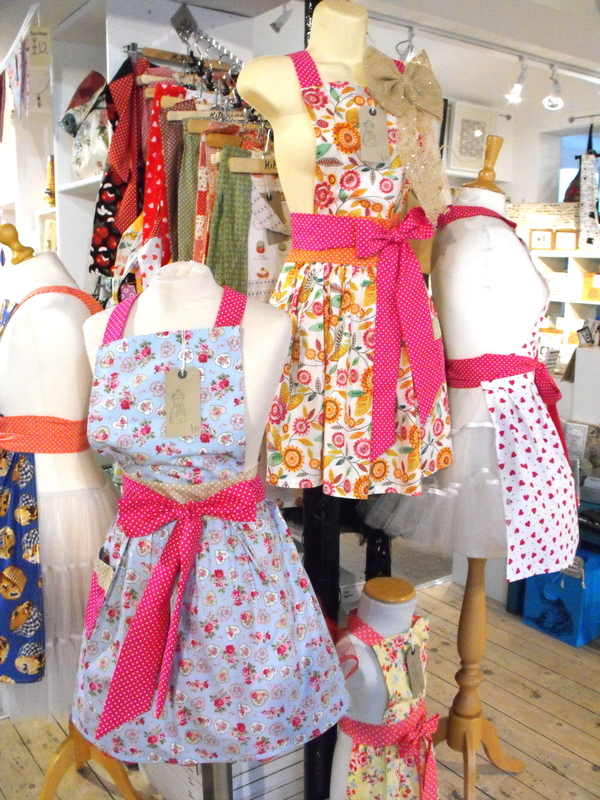 or a stylish apron handmade by Kitsch-ina that is too beautiful just to wear in the kitchen! 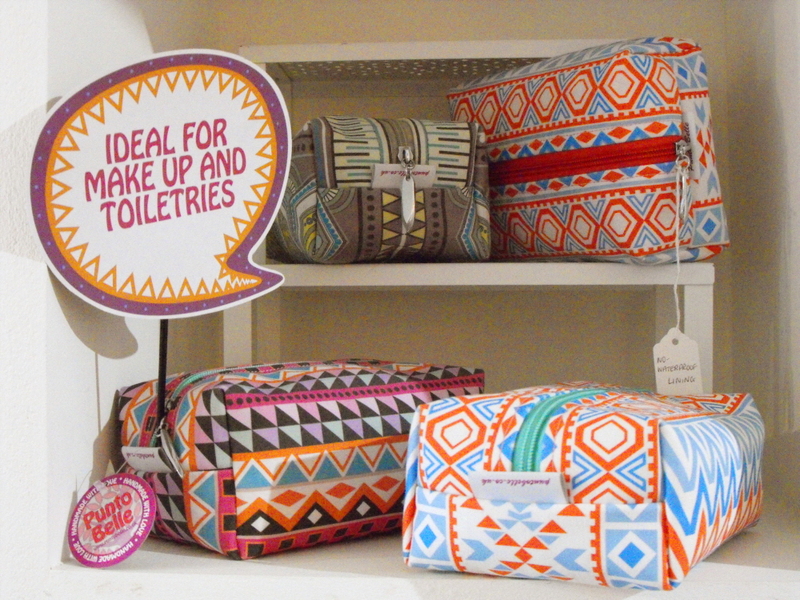 Does your mum always want to look her best? 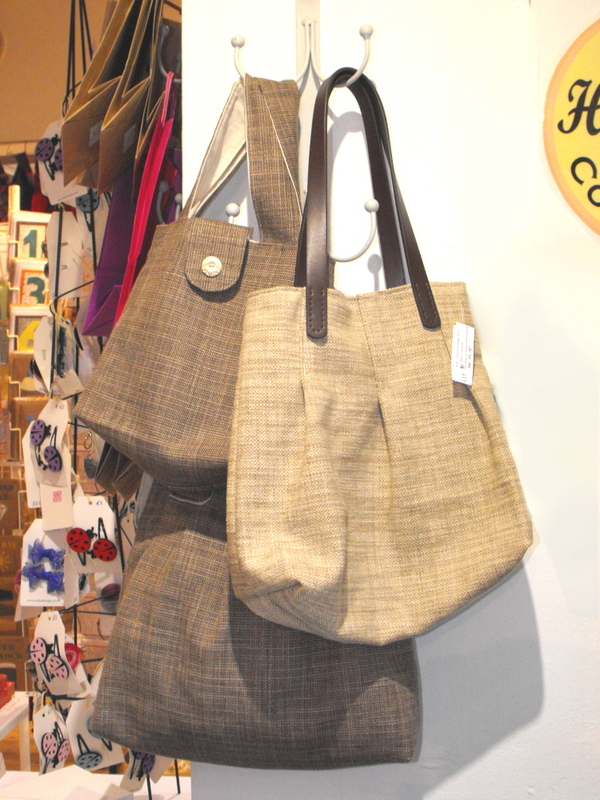 How about a handmade bag that is unique by Made by Marianne. 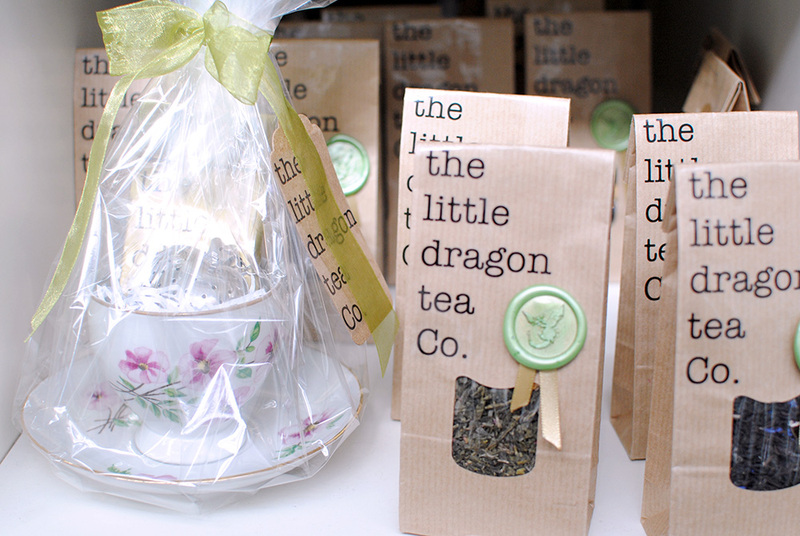 A wide range of cushion, notice boards, tea towels and mugs from The Little Button Co.
For the mum that has everything…. 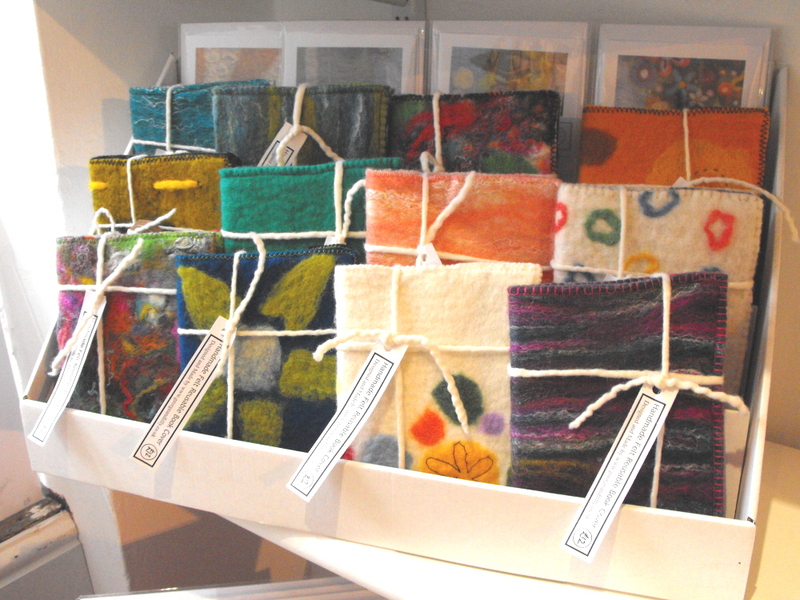 Christmas Gifts for One and All! 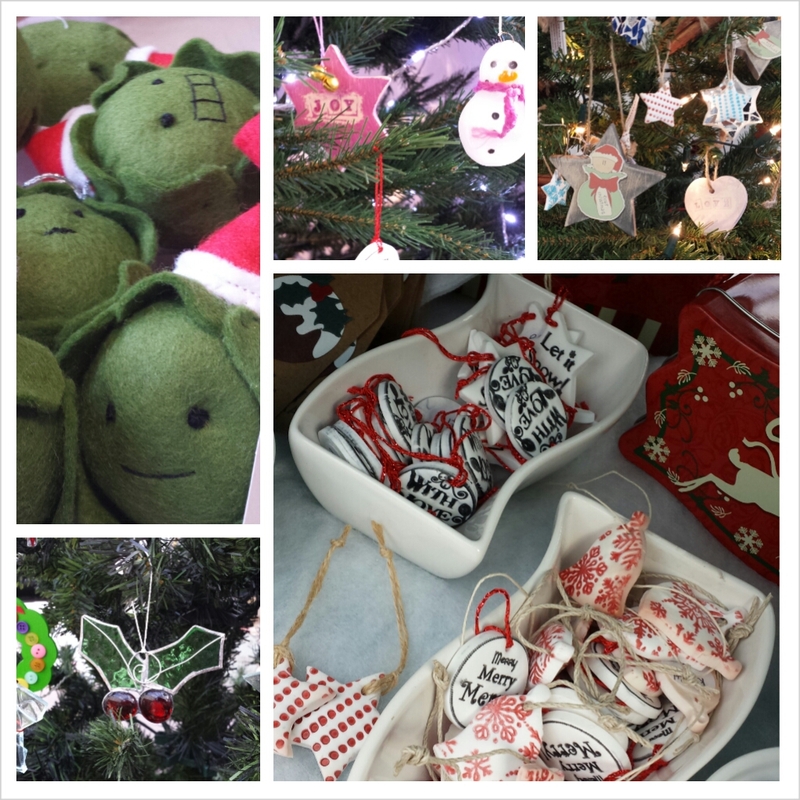 The Christmas Countdown is on….and we have Christmas Gifts for One and All at Our Handmade Collective! 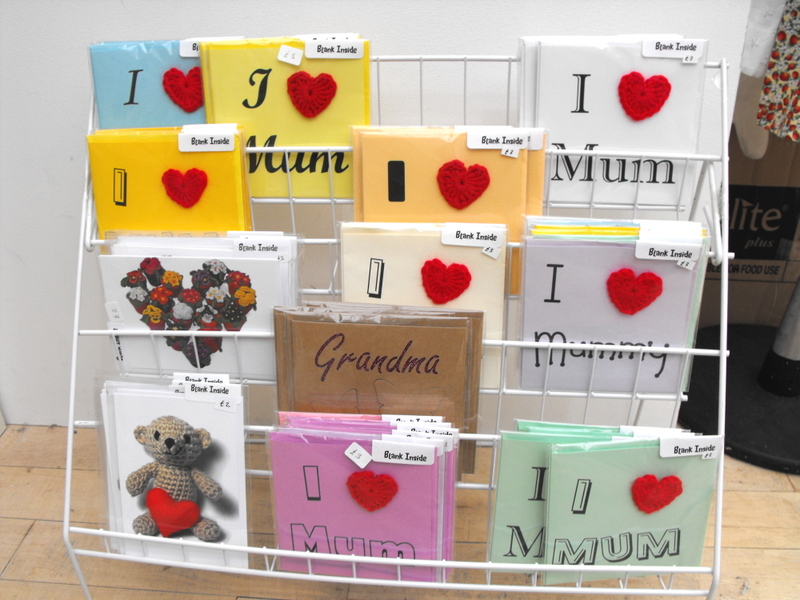 Whether it’s gifts for Mum, Dad, Grandma, Auntie Sue, best friend, sister, brother, Uncle Paul – and everyone in between – we’ve got it covered! And if you really can’t decide when you come to visit us – Give the Gift of Choice with one of our Gift Vouchers – available in denominations of £5, £10, £20 and valid for all purchases from OHC within six months of voucher date. 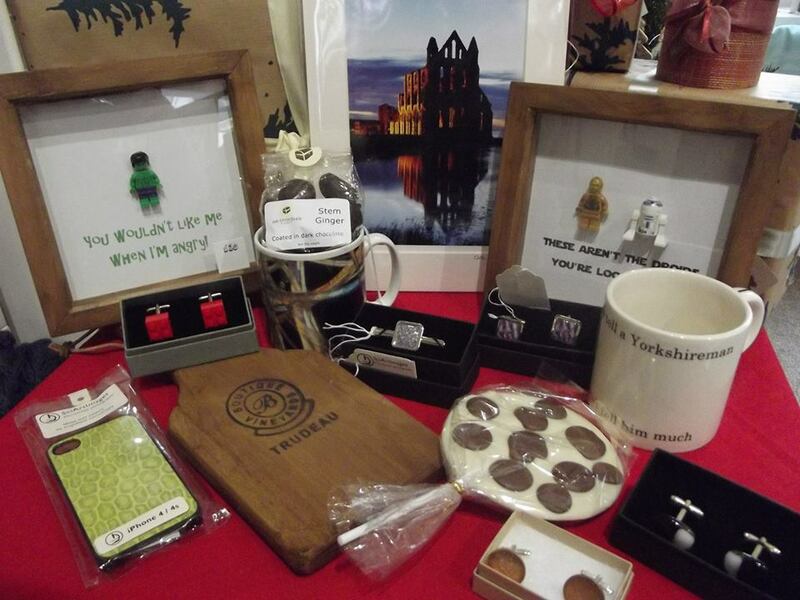 Stunning landscapes of Yorkshire and the North East Coast, beautiful vintage butterfly map artwork, handprinted mugs, aprons, tea-towels, wooden food boards made from wine barrels, gorgeous welsh slate cheeseboards, stained glass vases and hanging decorations, quirky prints made from dictionary pages – and lots more to choose from including cushions galore! 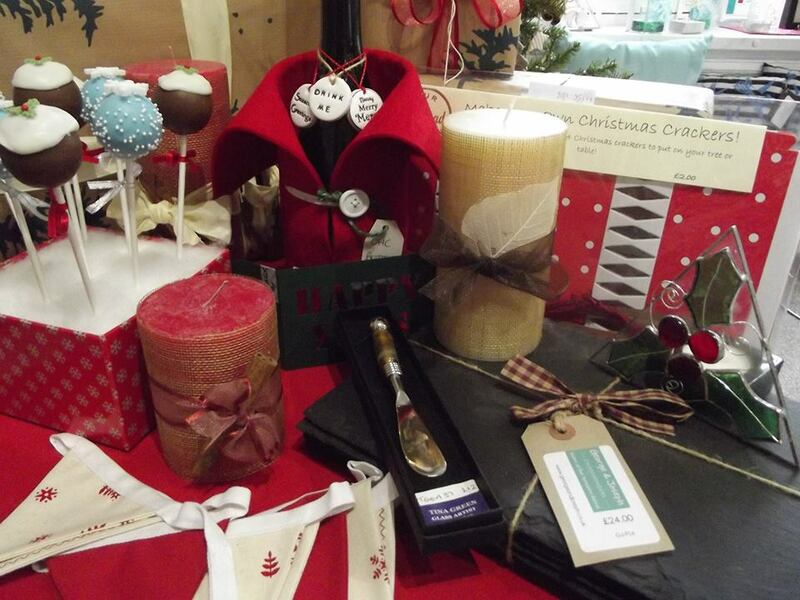 Dress your Festive Table in style! 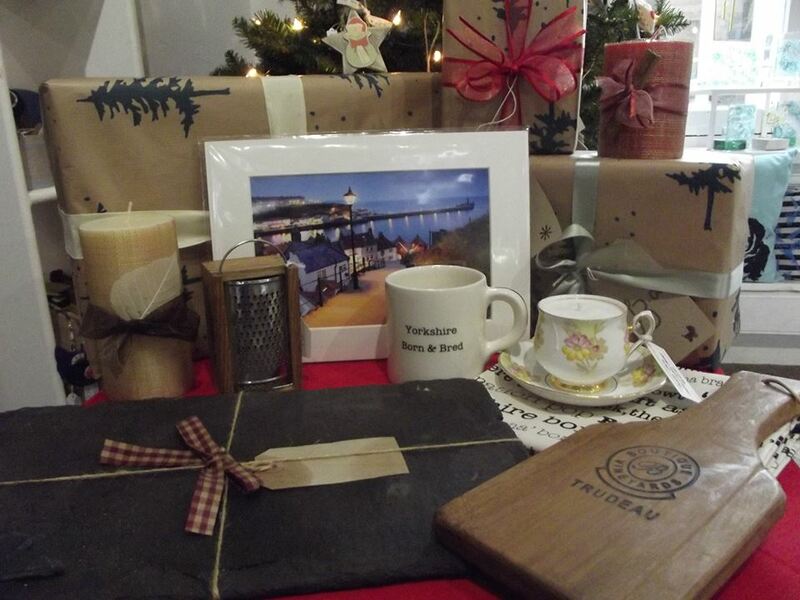 Beautiful welsh slate placemats, stylish bunting, vintage tea cup candles, the all important cheeseboard and murano beaded knife, hand painted wine glasses with their own charms – and a fab bottle coat to dress your Champers! 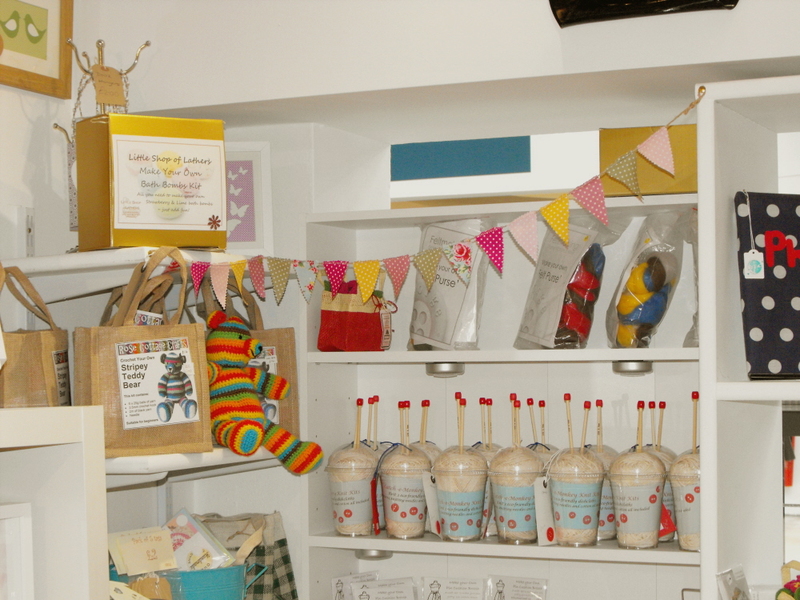 Beanie hats and scarves, make your own knitting and crochet kits, natural bath and body products, diaries, jewellery, aprons, teddies, trinket boxes, funky monsters, quirky toys….the list goes on and on! 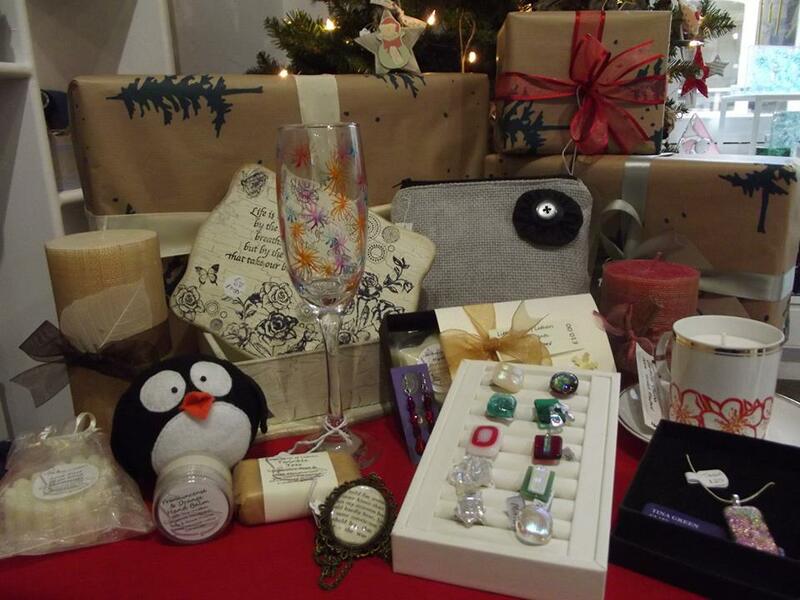 Stylish, classic and contemporary jewellery, trinket boxes, decorated photo frames, vintage tea cup candles, beautiful artwork, natural bath, body and shower goodies, wooden jewellery boxes, mosaic mirrors, leather handbags, scented candles and stained glass – to name but a few! 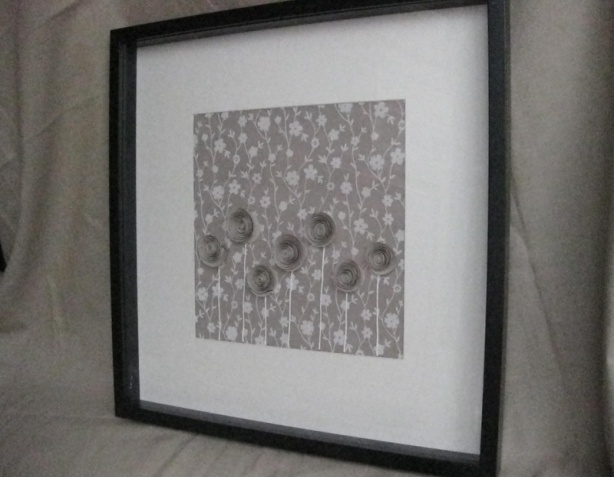 Cufflinks of lego, coins and magnified scientific images, mugs, handmade Chocolates, original framed Lego characters, tiepins, phone covers, kindle and Ipad covers, quirky artwork, hats, scarves…. 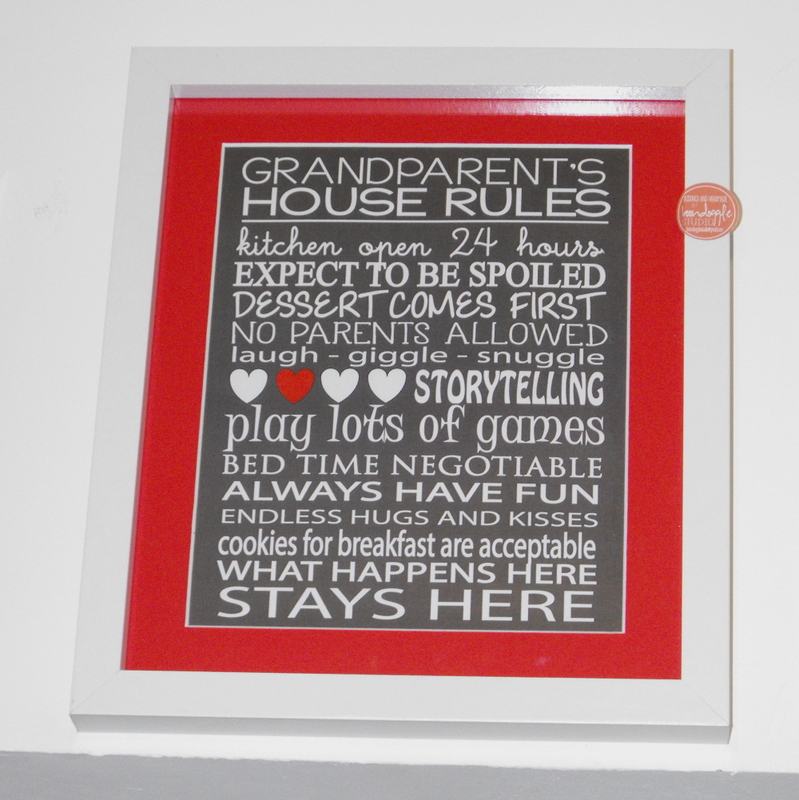 For the more mature person…. 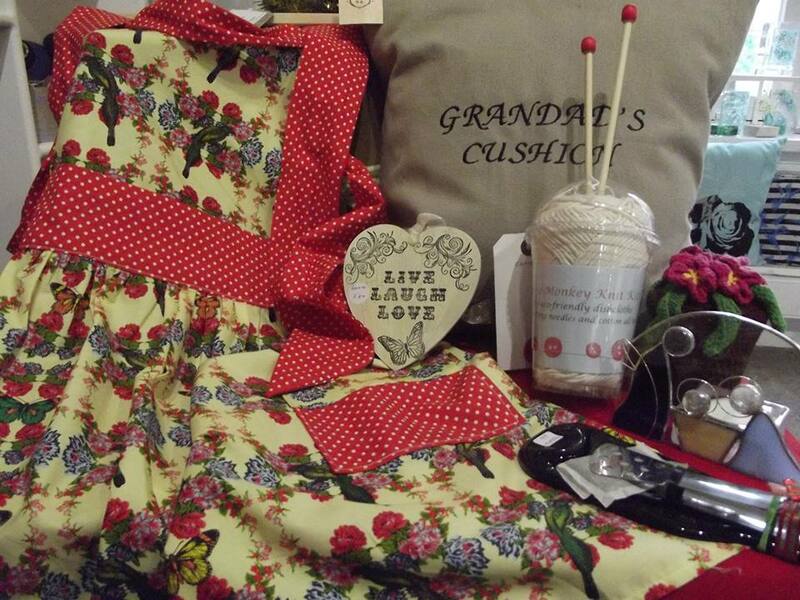 Tongue in cheek knit your own dishcloths, crafting kits, aprons, stunning landscape photography artwork, beautiful wooden trinket boxes and storage chests, handmade chocolates, candles, vintage china cake stands, glass decorations…and the ultimate gift for Granddad – his very own ‘Granddad’s Cushion’ for his favourite chair! 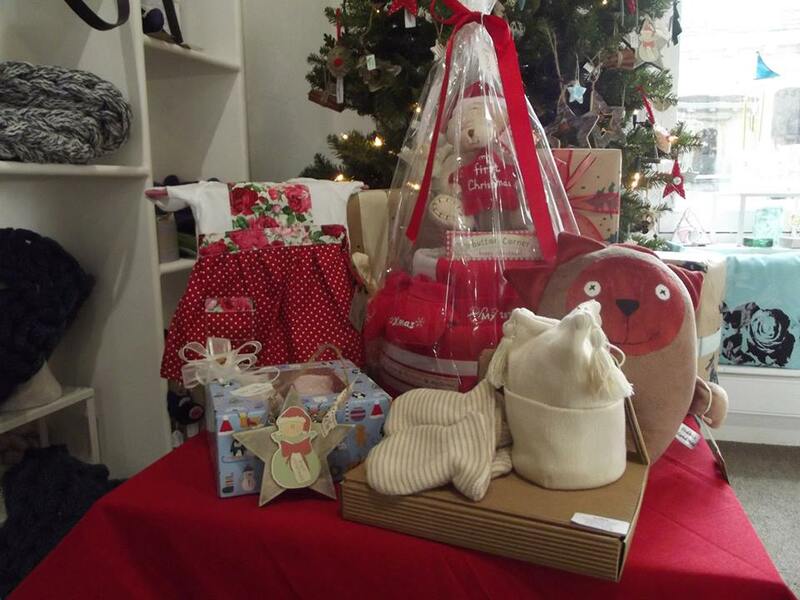 Keepsake tree decorations, beautiful bespoke Nappy cakes, cute hat, mitten and booties set, snuggly woollen blankets, quirky baby-gro aprons, funky organic Teddies, keepsake artwork…and so much more! 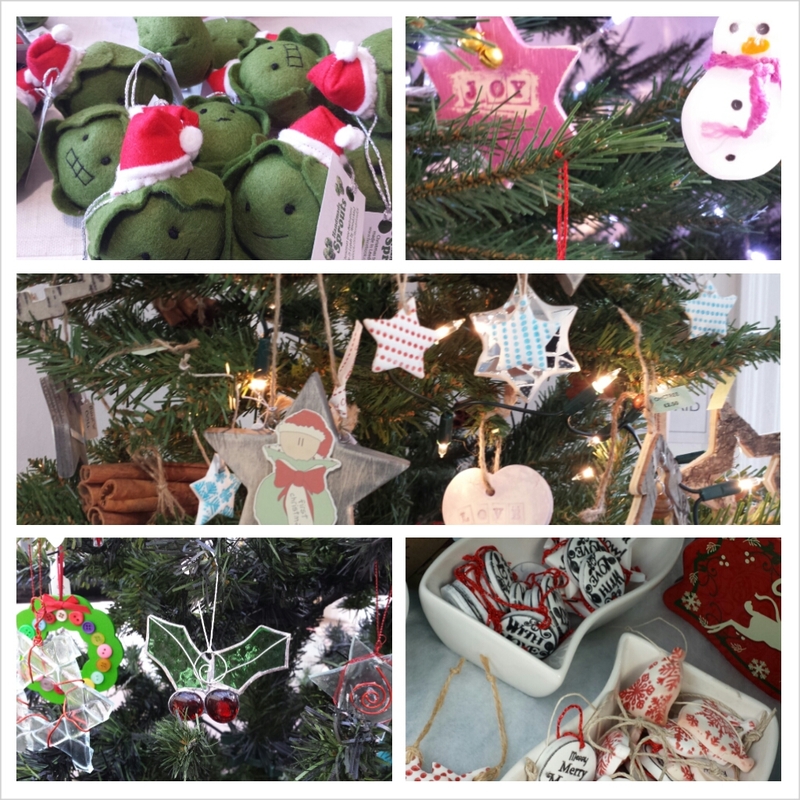 Decorate your Tree in style this year with our handmade decorations in glass, wood, clay, felt, fabric – and our handmade Sprouts! A huge range of bespoke, quirky, funny, contemporary, sentimental and personalised Christmas cards, gift tags, embellishments and even better – our Gift Wrapping service! 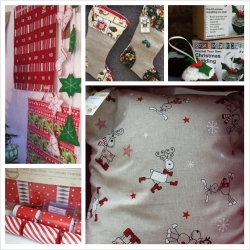 Traditional and contemporary Stockings to hang on your mantelpiece, Advent Calendars, Christmas Bunting, make your own crackers, paperchains and decorations, Christmas cushions, candles and memo boards….we have it all! 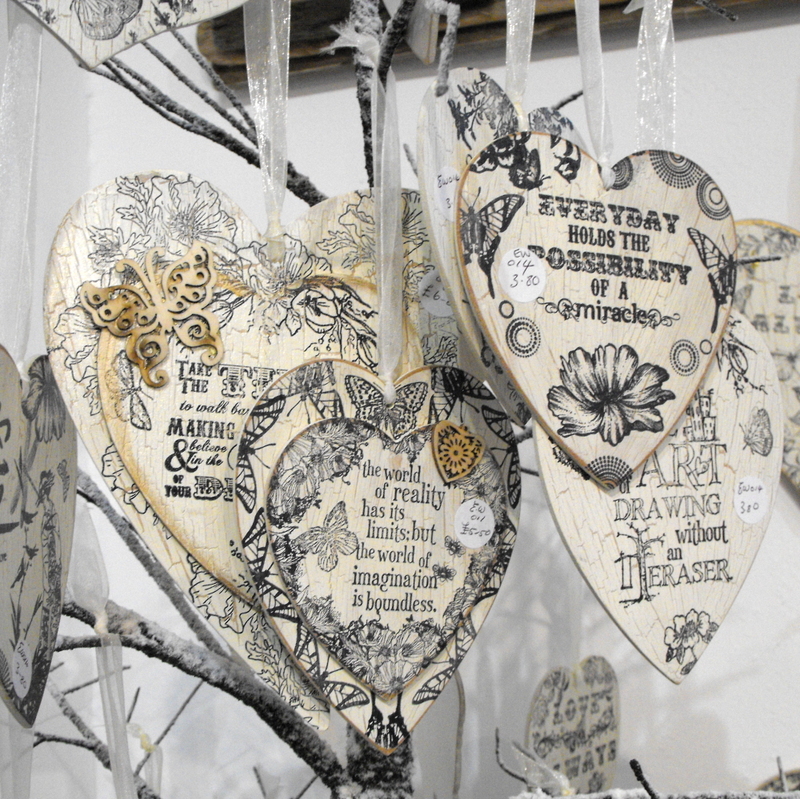 So don’t delay – visit us today and enjoy our Christmas Shopping Experience! 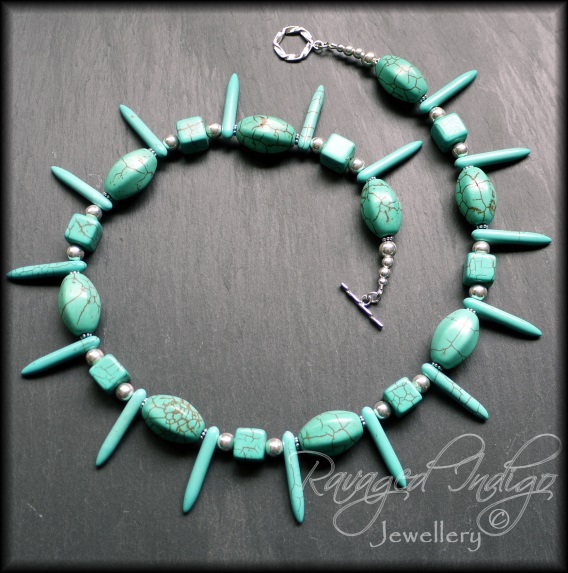 Please meet another of our talented makers, Milson May jewellery by Jayne Smiles from Leeds. 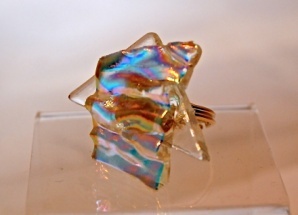 Jayne designs and handcrafts fused glassed rings. 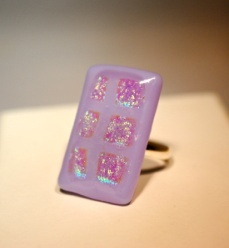 We have quite a few of Jayne’s amazing rings for you to choose from at Our Handmade Collective and each one is truly unique. 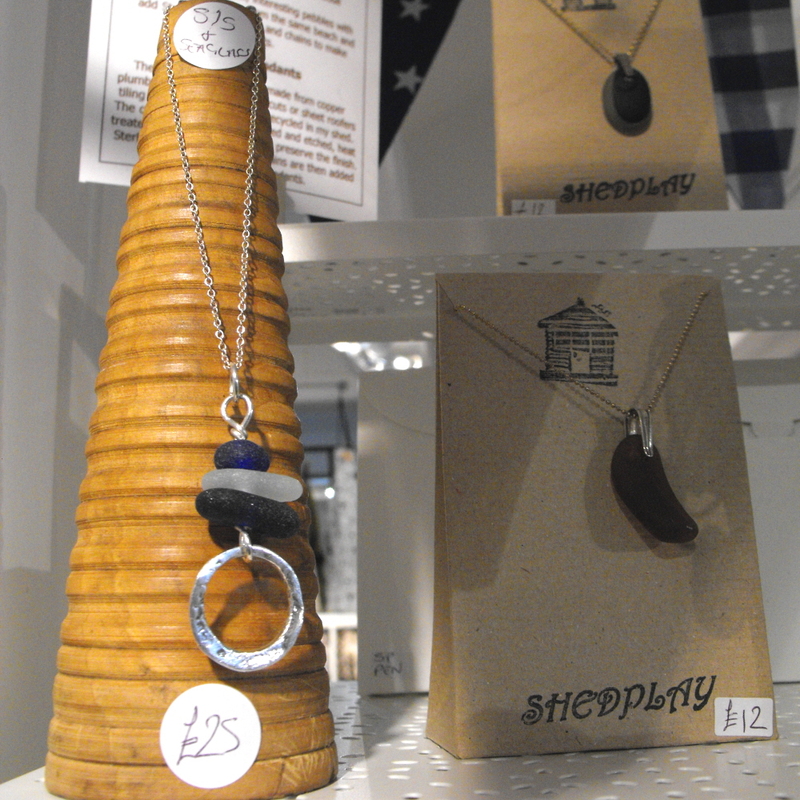 Today we meet another one of our fabulous jewellers, Caz Hardcastle of Shedplay. 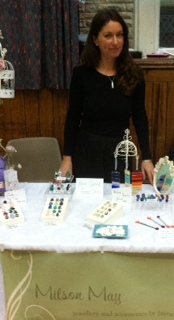 Caz makes Jewellery from all sorts of recycled materials, including: silver, copper, coins, buttons, beads and sea glass! 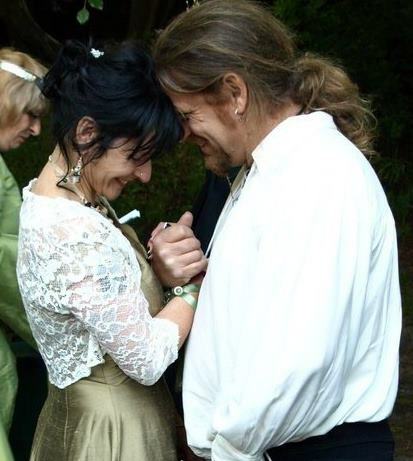 Caz tells us how Shedplay started, she says “3 years ago we were getting married and I wanted to make our rings myself. 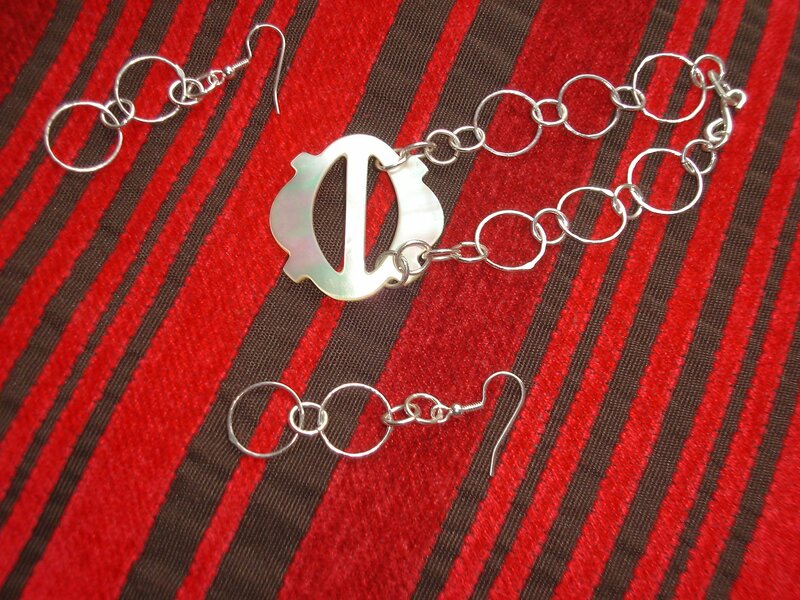 So I went on a 6 week jewellery course to learn how to solder. 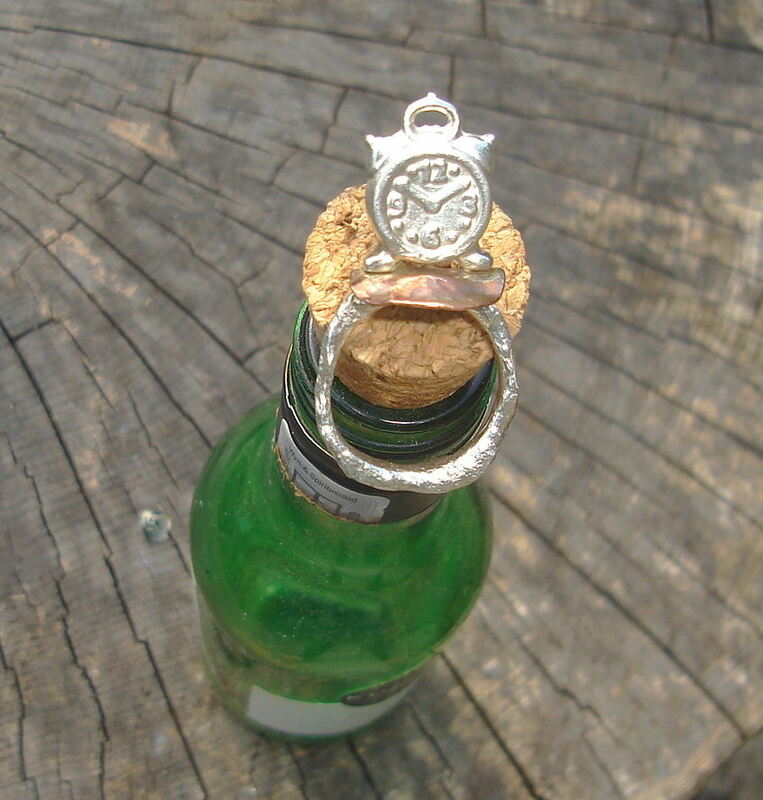 Made the rings and various other things on the course and by then I was hooked and carried on at home in the shed that I made my husband, Tim, build for me!”. 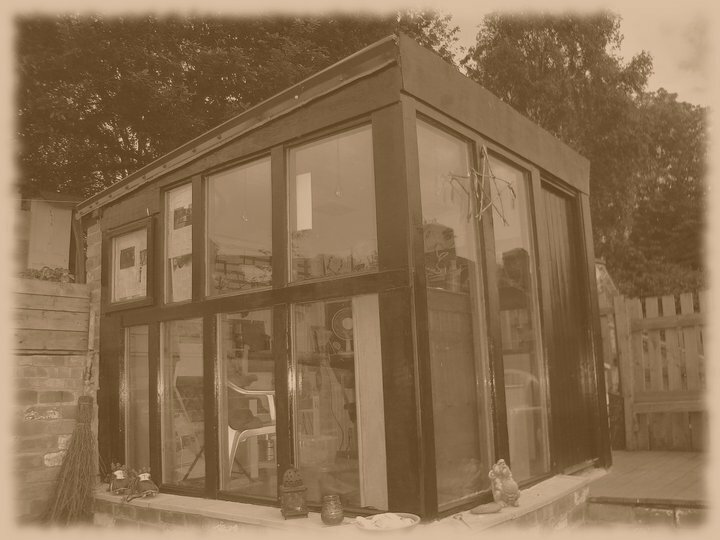 And here it is: the actual shed that Caz plays in! 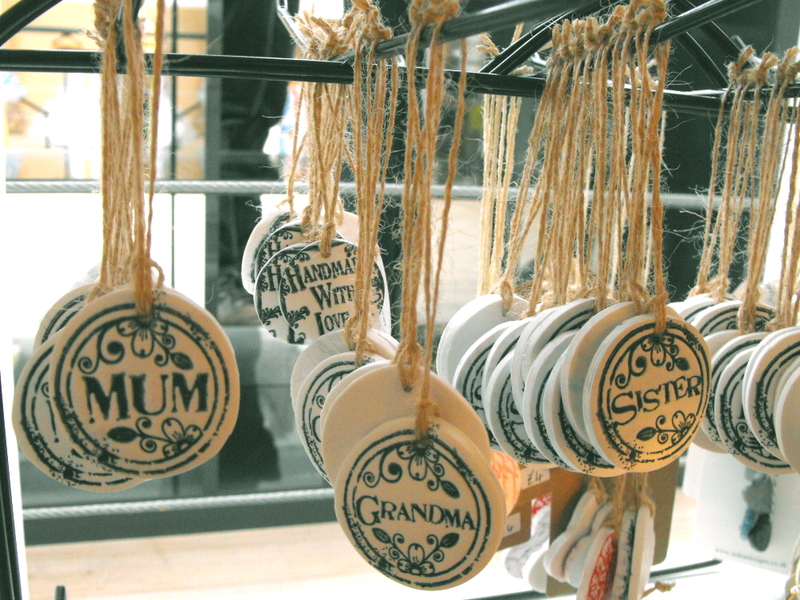 It’s now only 3 days until Our Handmade Collective opens upstairs in Handpicked Hall, Grand Arcade, Leeds. Come and visit us on one of our exclusive preview evenings on Wednesday 13th and Thursday 14th June 2013, 4-7pm. 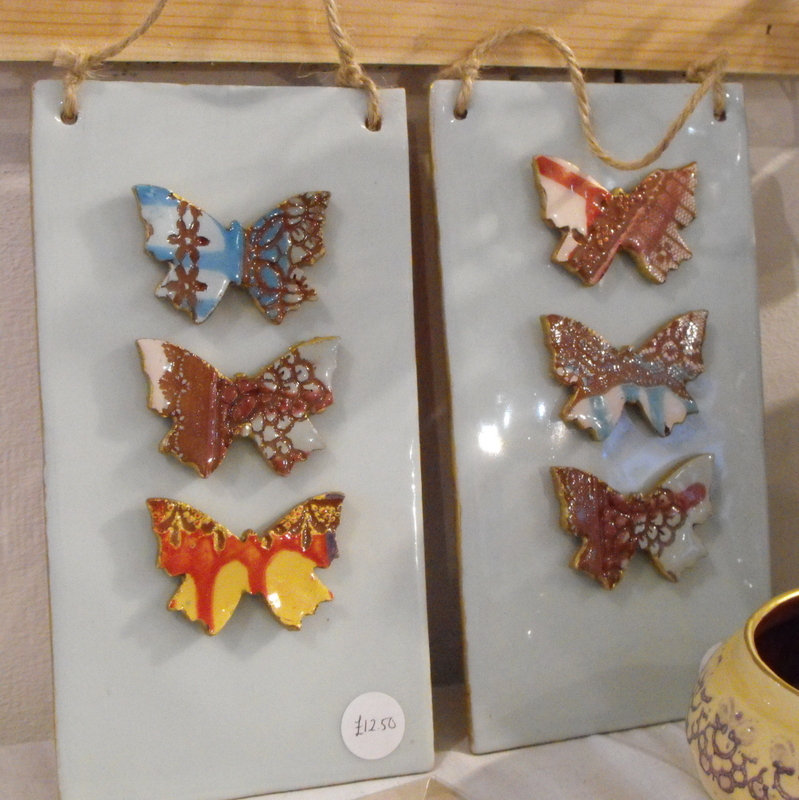 Now for a rare treat – a maker so talented that she has TWO businesses! 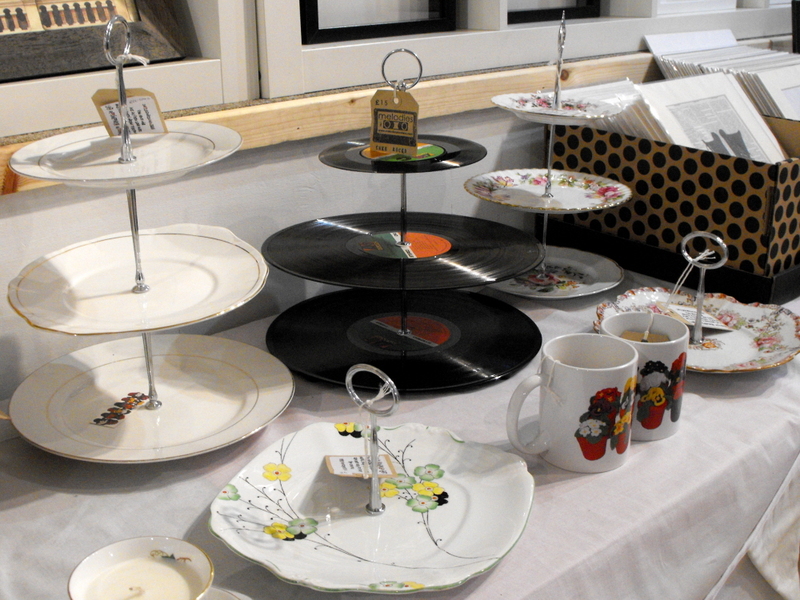 Today we find out more about Michelle O’Regan of The Button Boutique AND Aunt Sally’s Upcycled Vintage China. 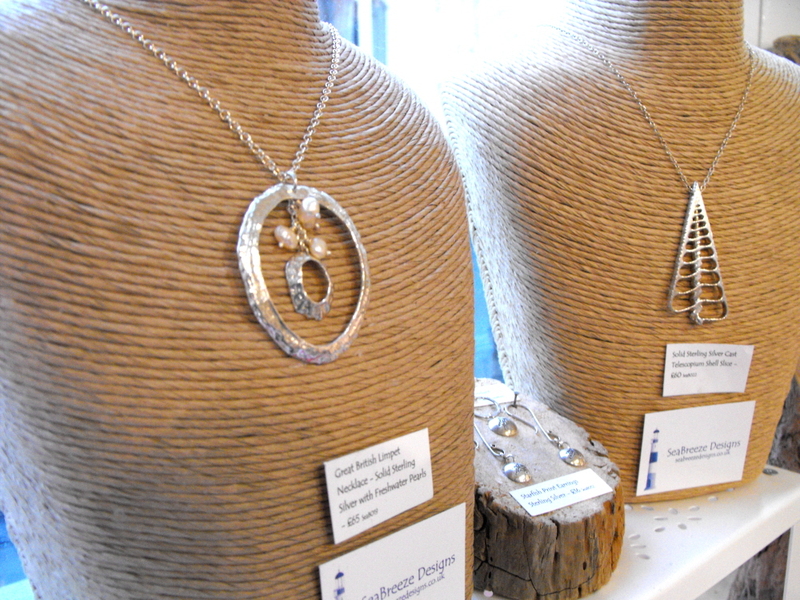 As The Button Boutique, Michelle makes handmade silver plated, nickel-free jewellery made with vintage and contemporary buttons. 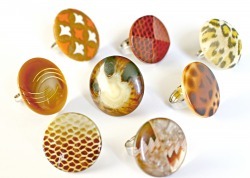 Michelle uses a huge array of buttons, making many of her rings unique. I have my eye on a very pretty pearl and white button bracelet that fits me just perfectly! 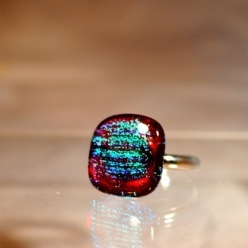 I began making button jewellery out of a desire to wear kooky and bold one-off rings and so my button obsession began…. 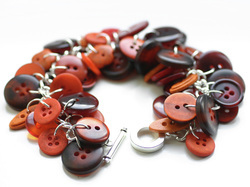 The Button Boutique was born from the discovery that other people shared my affection for buttons and soon rings were followed by necklaces, bracelets, hair slides and earrings. 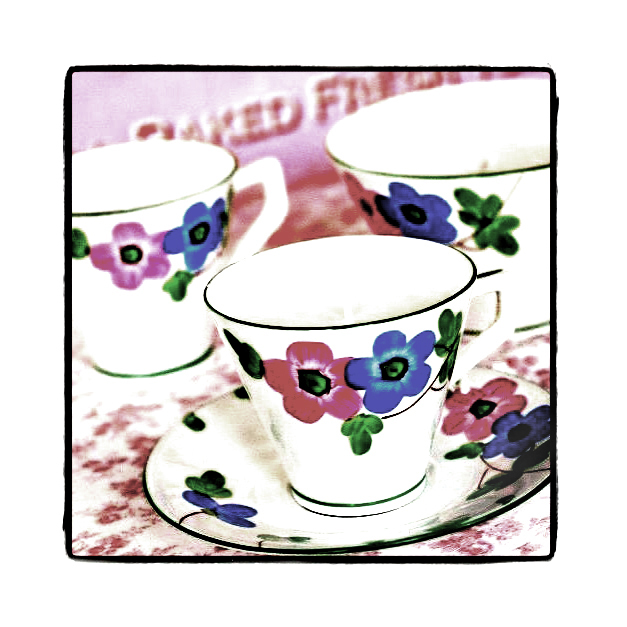 Michelle’s newest business, Aunt Sally’s Upcycled Vintage Crockery, create quirky objects for the home by upcycling antique and vintage crockery. 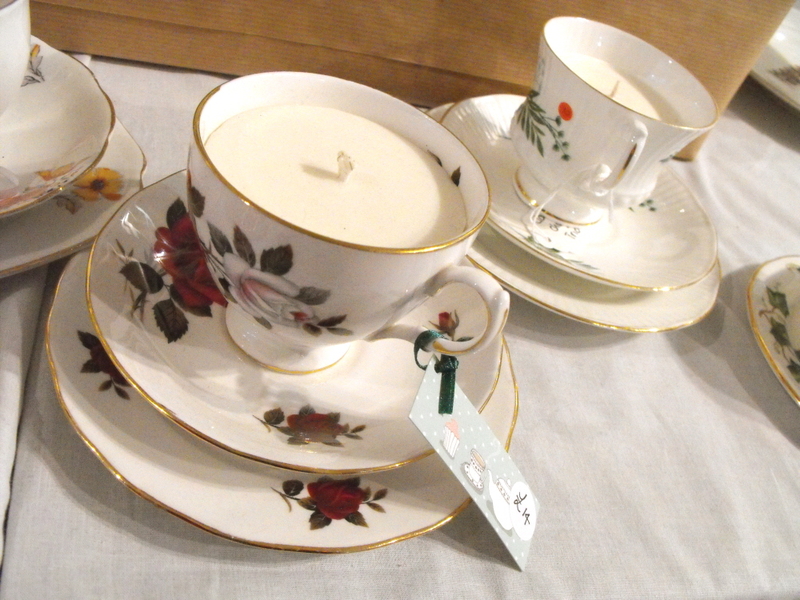 Her range includes Scented soya teacup candles. 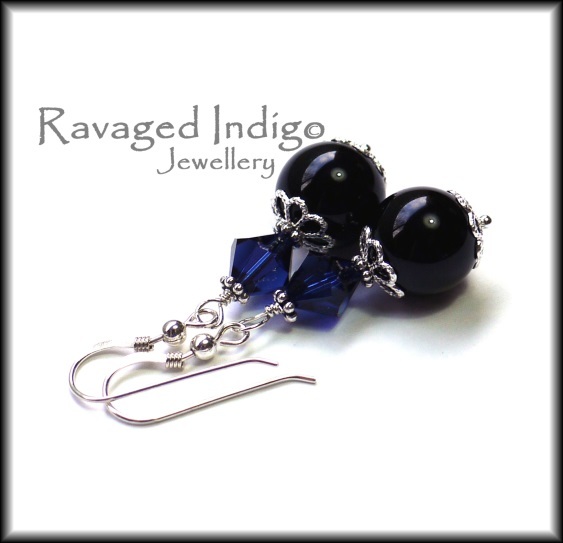 It’s time to meet one of our fabulous jewellers, Georgina Jane of Ravaged Indigo. 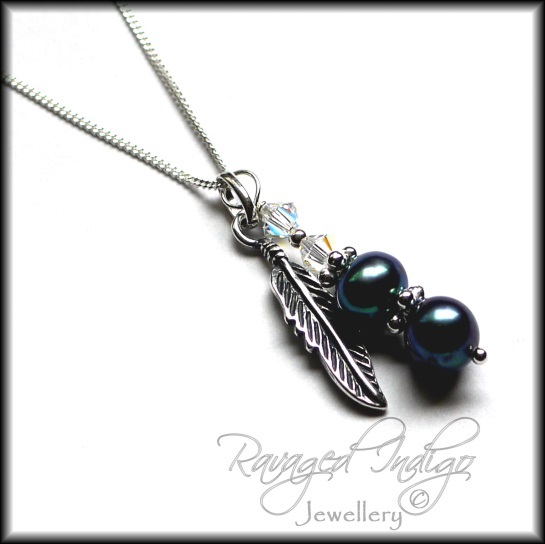 Georgina Jane is from Wetherby, where she creates unique, handcrafted, contemporary jewellery using a combination of sterling silver, semi-precious gemstones and Swarovski crystals and pearls. 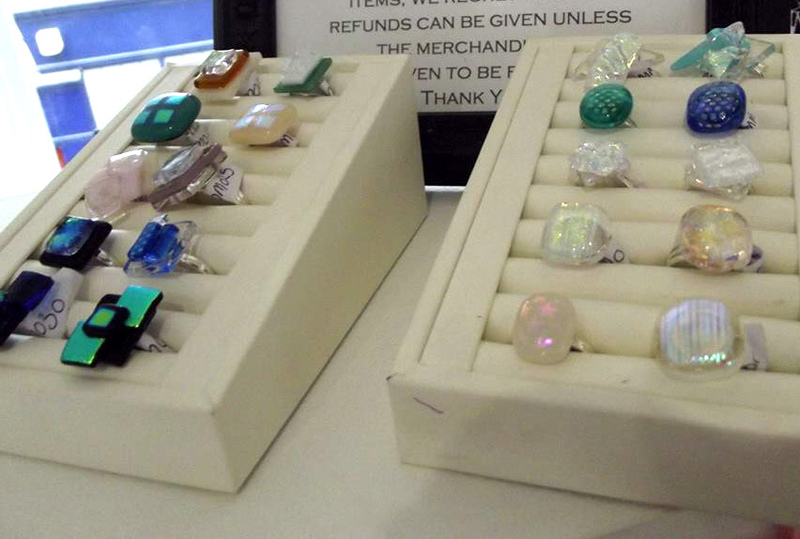 SO when you need to buy a unique piece of jewellery for a friend or relative come and visit Our Handmade Collective upstairs in Handpicked Hall in the Grand Arcade, Leeds! 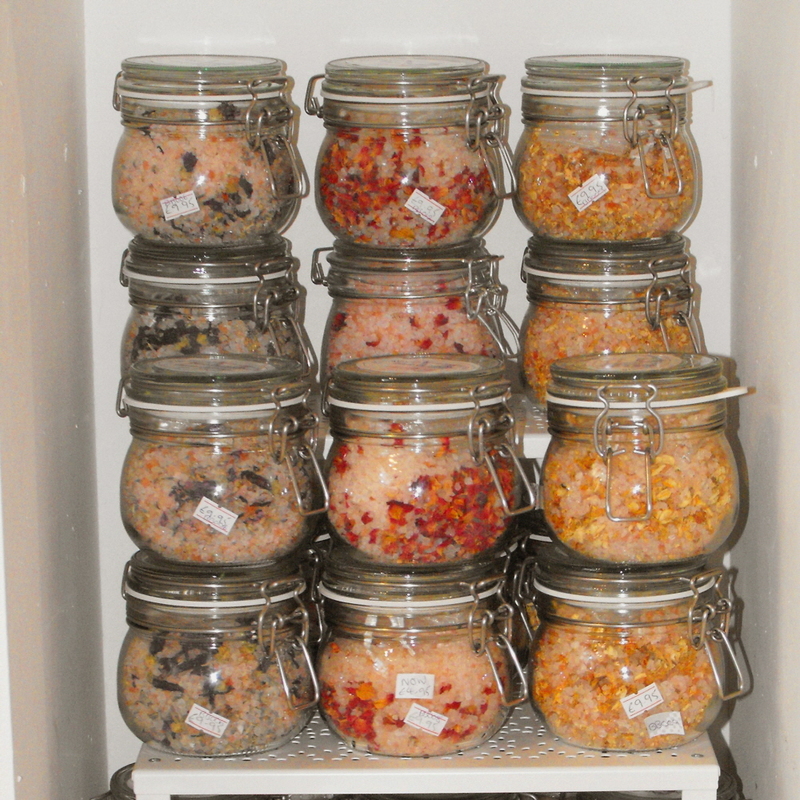 Here is Part 2 of our ‘Meet the co-founders’ feature, (Part 1 about Claire Riley’s Little Shop of Lathers can be found here). 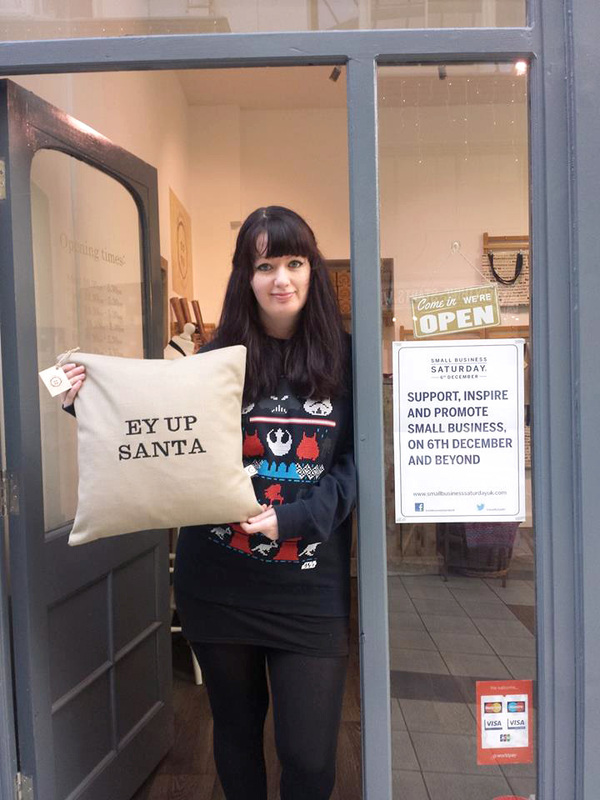 Today we meet co-founder Natalie Entwistle of ‘Handmade by Natalie’ who is based in Apperley Bridge. 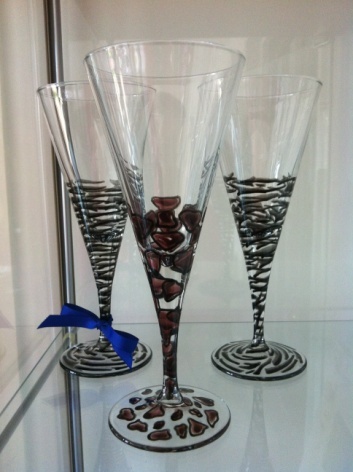 Natalie makes a wide range of exquisite items including handmade cards, paper art canvasses, jewellery, wine glass charms and painted glassware. 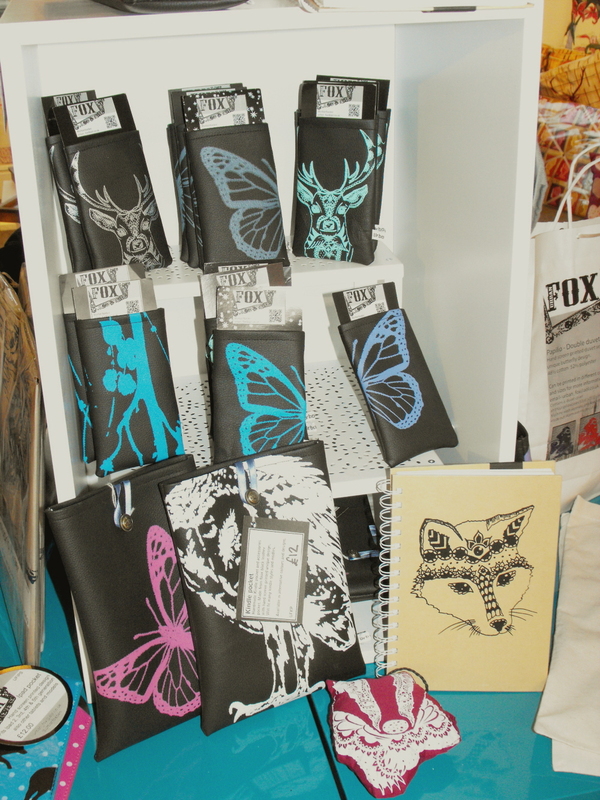 All these items make great use of Natalie’s steady hand and great attention to detail. 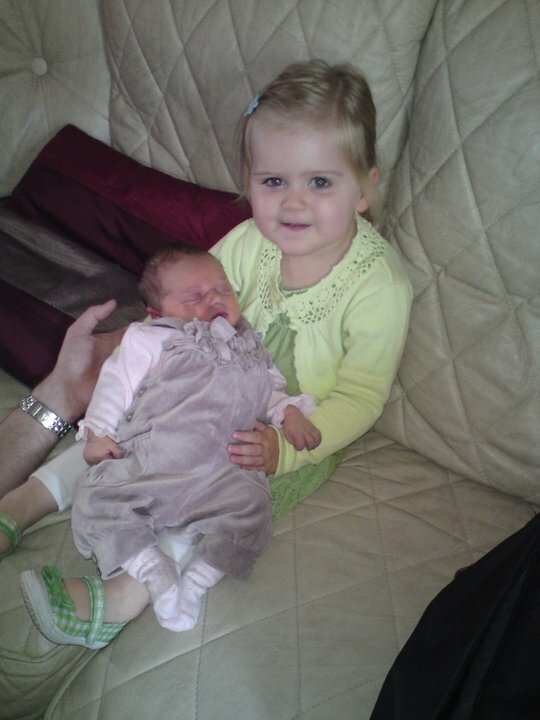 Here is a photo of Natalie’s beautiful girls which she says give her great inspiration. 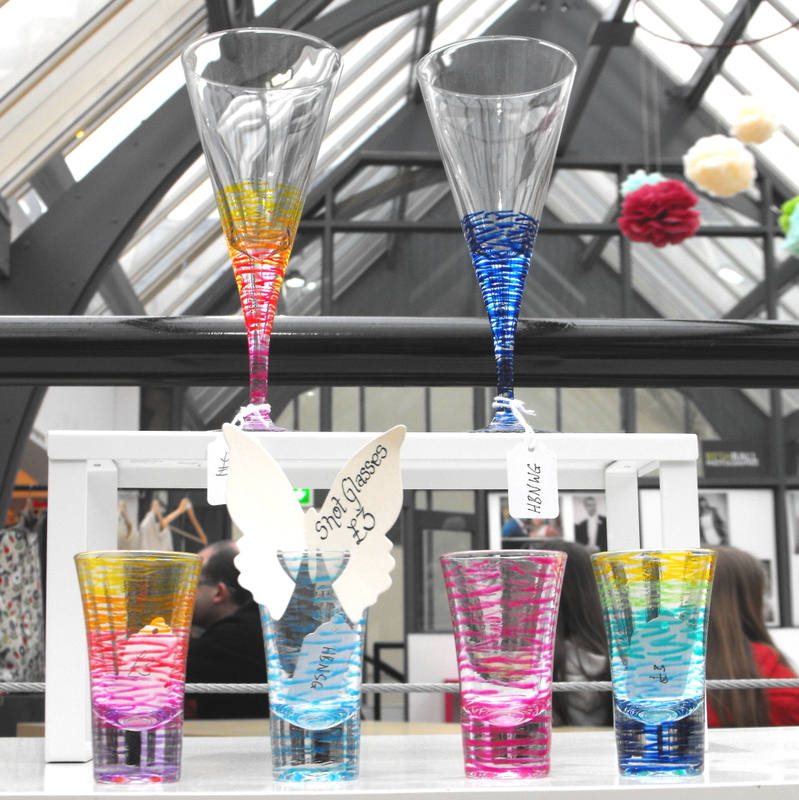 Pop in and meet Natalie at Our Handmade Collective, upstairs in Handpicked Hall, Grand Arcade, Vicar Lane, Leeds, when it opens on 14th June 2013. 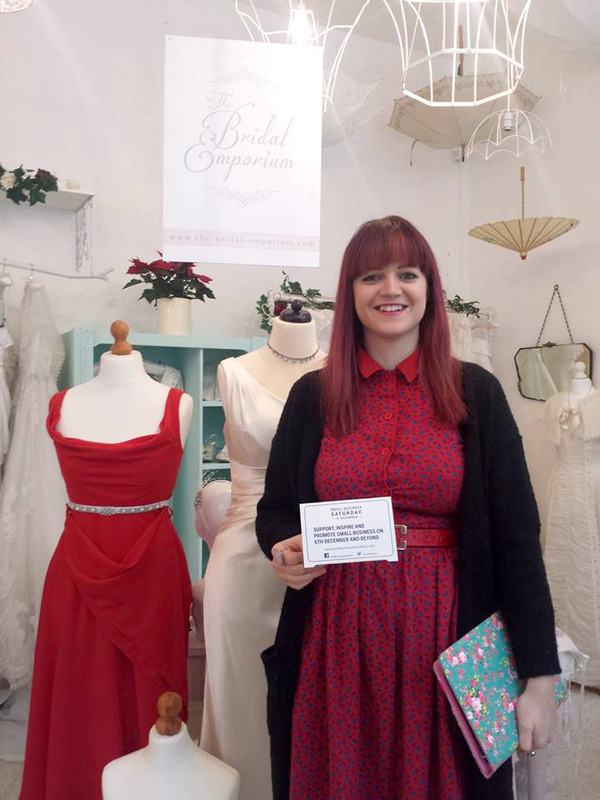 Natalie will almost certainly be there ready to help you find and wrap the perfect gift for any occasion!